Helpful, informative guide every author needs! You’re trying to write a book; and you’re not the next Shakespeare – not yet, anyway. You could be. But no one will ever know if you don’t get those marvelous words out on the page (or screen). In easy to do, daily steps and exercises, Mohana breaks down the steps of getting started as a creative writer. From getting past writer’s block (excuse of the weak!) to putting that blog to work (every body’s got one), the tools of the trade are revealed. If you’ve had a story idea in your head for a day, year, (or longer) that it doesn’t seem to be writing itself, you may want to take a closer look at this book. Designed as a concise guide for aspiring writers, you’ll find here the key principles of how to get started, keep going, and finish a manuscript, all told by a fellow accidental writer who took the long way developing a writer’s formula. 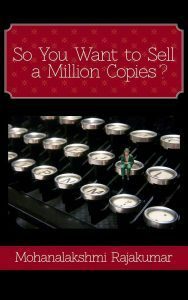 There are countless writing guides and manuals on the market, in print and other formats. Mohana has created a beginners guide that distills the basics of getting into a writing groove as well as the ins and outs of publishing into a concise volume for those unsure of how much they’d like to invest in a rapidly changing industry.